SPRING 2019 CLASSES - SIGN UP TODAY! 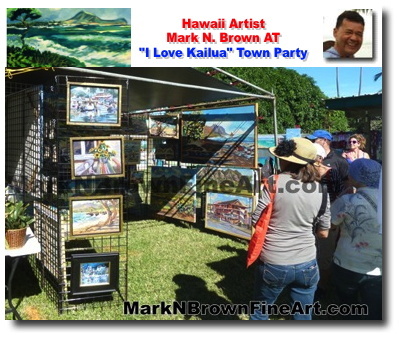 Paint as a group at Oahu's beaches, mountains, and parks. Students provide their own transportation to painting locations. 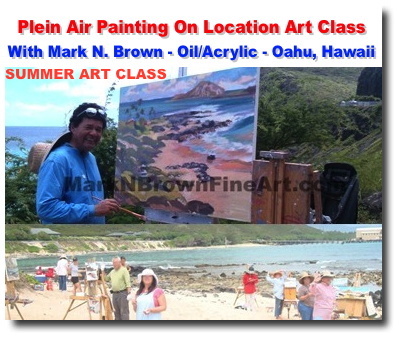 Every Monday night from 7:00 pm to 9:30pm, Hawaii Plein Air artist Mark N. Brown leads the "Uninstructed Life Drawing Class" at the Honolulu Museum of Arts (Room #201). In this class, the models pose and the artists draw/sketch using any medium from charcoal, pastel, pencils, or paint horse benches.